Before we dive into the points, let me just explain a little bit about me and why I can advise authors on how to market. I’ve been in selling for 25 years, have a blog http://www.social-experts.net/blog/ which is now part of the company I’m CEO of. 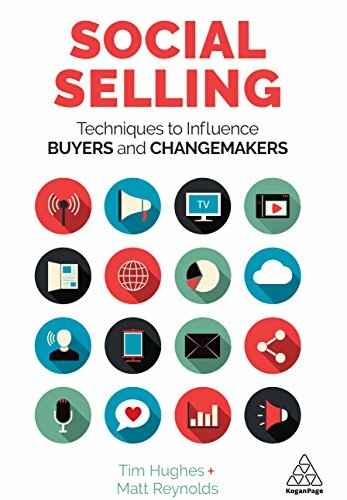 My book, “Social Selling - Techniques for Influencing Buyers and Changemakers” was published in July 2016 it’s a best seller and goes from strength to strength. The fact you have just given me 2 minutes to tell you about proves it. So here are my five tips. If you hate “sales” and don’t think you are a salesperson, you are going to be good at this. Certainly better than me. Social selling isn’t a great term because nobody likes being sold to. In the past, if you wanted to buy something, you rang a company and they sent you a brochure, which was pretty useless as it told you how great they are. Now if you want information you go to the web, you usually end up at a website, which again tells you how great a company is. Your quest, if you wish to choose is it to write articles that people will find. Write articles that will inform, educate and inspire people. As writers, you should find this easy or easier? 500 words is fine. Then publish these articles on platforms such as LinkedIn, Facebook, Medium or your own blog or website. Google loves content and it loves content that people love. In terms of subjects, write around your book. For example, I write articles like this one, or on there aspects of sales and marketing that hopefully will spark somebody into thinking. “I might just get that book that Tim has written”. Then when you see (at the time of writing) it has 38 x 5 star reviews, hopefully I get a purchase. The problem with sales and marketing today, is you are after people’s attention. The time it takes for somebody to see you on their news feed on say facebook and then move on is 1.3 seconds. Gary Vaynerchuk calls it the 51 : 49 rule. We are after all, looking to get customers and prospects to give us “their time” and none of want to give it to somebody, or certainly won’t give it again to anybody that wasted our time before. This is the essence of content marketing. Put our articles that will inform and educate. “The Top 5 Reasons Authors Should use Social Selling” for example. If as an author, you were looking for help in selling your book, you might search on Google, find this article, read it and then maybe, just maybe make a purchase. The days are over on-line for having an on-line CV, all sales and marketers need to have a personal brand. Why? Because we all look people up on-line and form a judgement of what they are like. Funny, interesting, boring. As an author you need a presence on LinkedIn, Twitter, Facebook (Public Figure Page), Amazon and goodreads.com. Think of this as your shop window. If people walk down the road and see the shop window empty they will just walk buy, if they look at something interesting, you might temp them in to buy. Being on-line doesn’t mean you need to be somebody you are not, just be yourself. Plus be consistent. It’s way to easy to do a bit of posting then leave it. You need to keep at it. One of the things you can do is “curate content”. Use a free application like Flipboard, download it to your mobile and then post articles related to what you write about. I post articles about sales, so if anybody is interested in sales, they don’t need to find the best article, I find them for them. Interspersed with these articles are my articles. It probably won’t surprise you, that there is more about this in my book, on Amazon. And if you have got this far, as you can see I’m my best case study. Good luck and please find me and connect with me on social media.